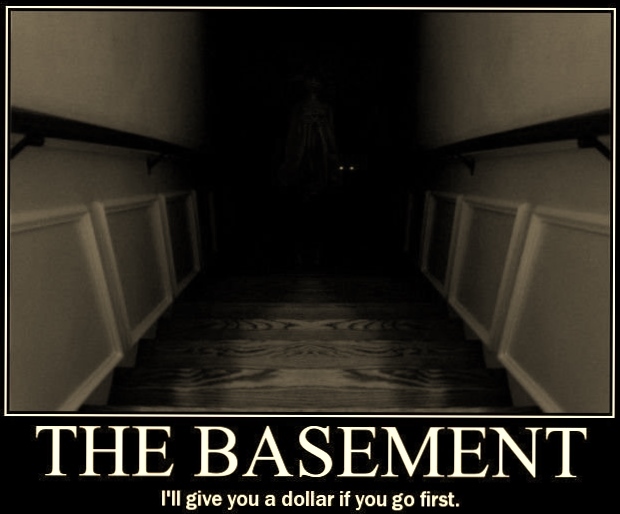 I don’t know if many of you can relate, but I remember when I was much younger being asked to grab something from the basement/garage. Aside from these rooms being the least occupied for the house’s lifespan, they were also the most cluttered of the house. So walking into the basement, you are already pretty unfamiliar with the room, but now you have to go looking for something in there. After rummaging around the shelves and boxes, you find whatever you were looking for and you need to leave the place. The problem is the light switch was at the bottom of the stairs and once you turn it off, the security of light was gone. The security of knowing what could be around you in an unfamiliar room was gone. The security of awareness vanishes and you’re left with your paranoia and hypervigilance to anything that could be living in the basement. Corridor-Horror games like Amnesia, Slenderman, or SCP play with darkness and the unknown but they only use it as a setting for eliciting fear and paranoia. The only game that comes close to what I envisioned is The Midnight Game where you need to keep your matchstick lit so you don’t get caught by the boogyman and when it goes out, you only have a few seconds to get your light and safety back before the game is over. You work at a medical storage facility and asked to check up on a few containers spread throughout the facility. There’s a storm with heavy lighting and thunder outside when the lights for the facility go out. There’s a quick panic over the radio, but you can’t understand what was said or what’s happening. You only hear a few shuffles of maybe feet running and a slam then static. The backup generators are on. You know when they will deplete, but the light switches are on timers so no one area will stay lit for too long. You can’t stay in one area for too long because the generator won’t handle last long, but you need to find the next light switch to get to the next area and hopefully towards some way out. During your escape, you need to find things scattered around the facility to pass through several blockings. Crowbar for a slightly opened but stuck door, key code combination for a set of keys locked in a desk, and other point and click puzzle scenarios. If you stand in the darkness for too long though, whatever started the commotion over the radio can come find you. You can set the tone of this consistently when you turn the lights on in new areas and when lights go out in other areas. Lights turn on and you glimpse at something scatter into the newly formed darkness, peering into the light and waiting for its chance to wander in your area. Lights turn on and noises stop in the direction of the new area. Boxes that were shuffling until the lights turn on now sit still. Lights turn off and you hear a commotion of noise from moving about in the newly available area. Lights turn off and a set of small glowing eyes peer at you, waiting like the creatures that you kicked out of their darkened abode till they can occupy the same space as you. Darkness and the unknown are easy ways to elicit a fear-based reaction, but this reaction can be enhanced by other stressors. These stressors area experimented in many of the games that I mention earlier like Slenderman, SCP, and Amnesia. In Amnesia, the random doors opening/closing, creepy setting, creature wandering the corridors are meant to add fear-based stress and keep a fear-based tension throughout the game. The other two have similar stressors to get fear-based tension/reactions. The game that I’m suggesting is meant to keep the fear-based stress around because there is only little safety in waiting in safe areas and not necessarily through jump-scares. You’re meant to keep searching through the unknown and not become comfortable in any one place. You can’t just wait for the danger to pass, but find a way through the fear and danger. 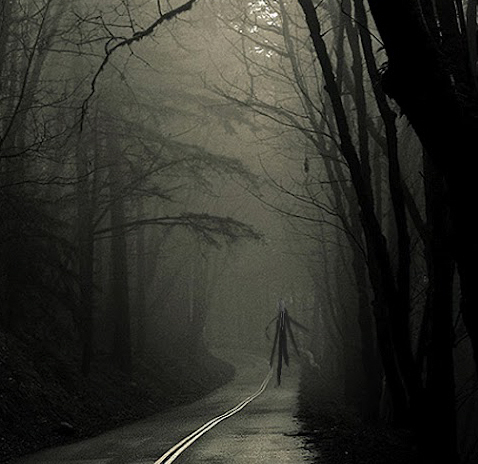 The game can have jump-scares and other fear-inducing stressors to get the paranoia up and raise the tension a bit, but the core idea is that your safety light is only temporary and that you need to be able to handle the pressures and more forward in some progress towards a real safety of escape. Think it’s novel, good, bad, possibly good? Thoughts about the idea? Leave it in the comments.